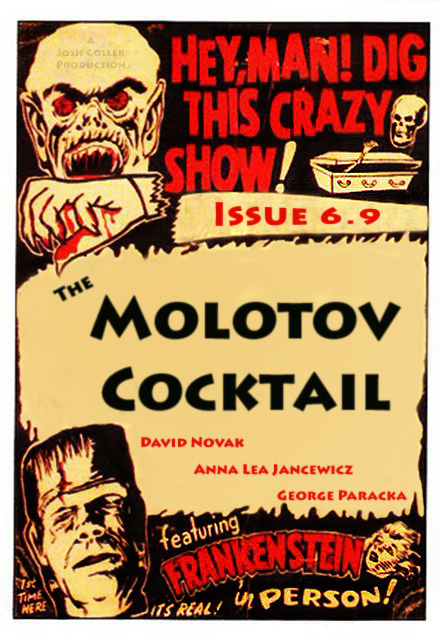 Issue 6.9 is more fun than a barrel of cobbled-together monkeys! This issue, we’ve got mermaids with vendettas, DIY messiahs, and knives that slide right in. Don’t look now, but our Flash Monster II contest is already in full swing. You’ve got until 10/15/15 to submit your monstrous flash fiction for a chance at $350, but early birds are encouraged! We read in the order received. And keep your eyes peeled for details on our upcoming Poetry Sideshow contest. And our prize-winners print anthology will be dropping before you know it!